Butterflies and Blossoms. 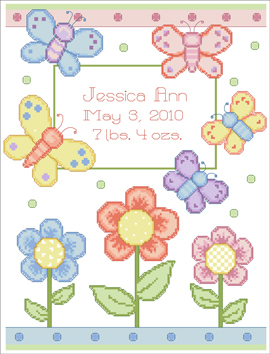 Decorate your nursery with this sweet counted cross stitch chart Butterfly Birth Announcement by Linda Gillum. 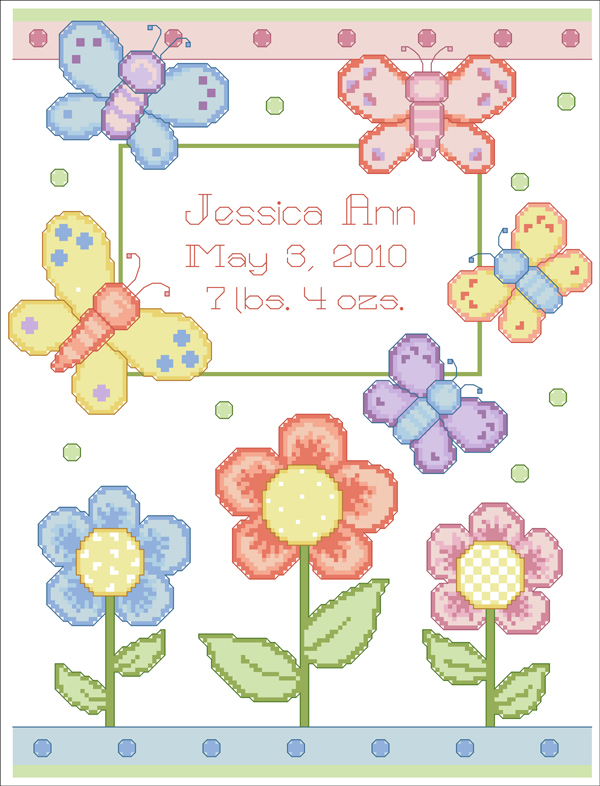 The simple design of this birth announcement makes it versatile in any decor. Contents: 138w x 182h in stitches. 9 3/4" x 13" on 14 count Aida.